Georgia's Home Inspirations: Lisa and Nikki's Friday Finds New Year Edition! This week, in the spirit of New Years, we are looking forward and sharing the sights, sounds, tastes and one-of-a-kinds we love and hope will inspire you in 2013. 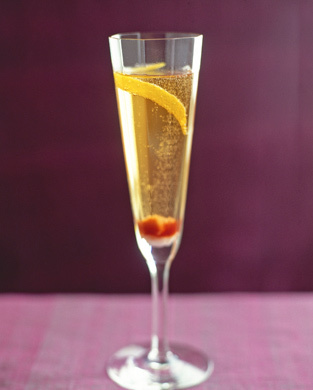 Celebrate New Years with a champagne cocktail! This recipe comes to you from Epicurious and is served at hotels and bars worldwide. Ingredients: 1 sugar cube, Angostura bitters, champagne and a lemon or orange peel twist for garnish. Preparation: Soak the sugar cube in the bitters, drop in a champagne flute, add champagne and twist. Toast! Resolution: Repurpose forgotten and discarded items! Vintage sewing drawers can bring charm to your most beloved recipes. Complete the look with vintage dividers. So cute! It might be winter, but you can still bring the outdoors in. 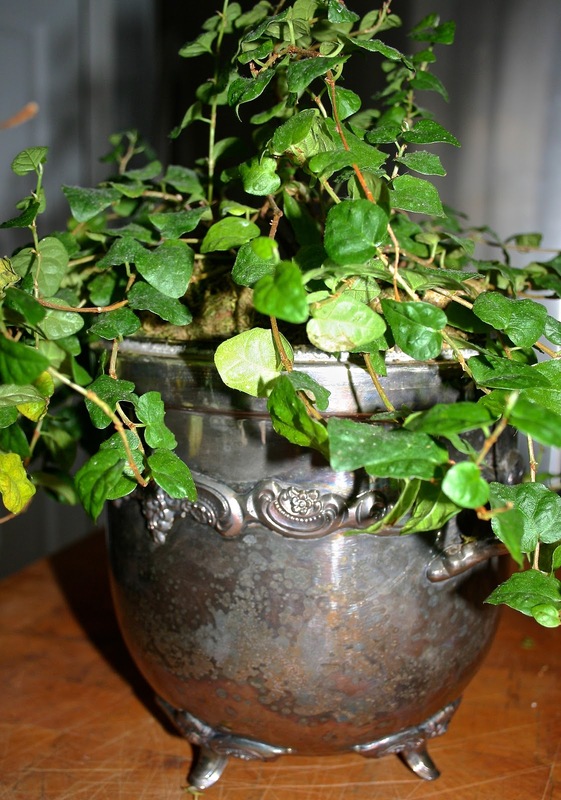 We love this beautiful ivy plant that fits perfectly in an elegant, vintage ice bucket. Nothing says relaxation like aromatic bath salts. Why not store some in a vintage glass cookie jar. Resolution: Rearrange what you have! 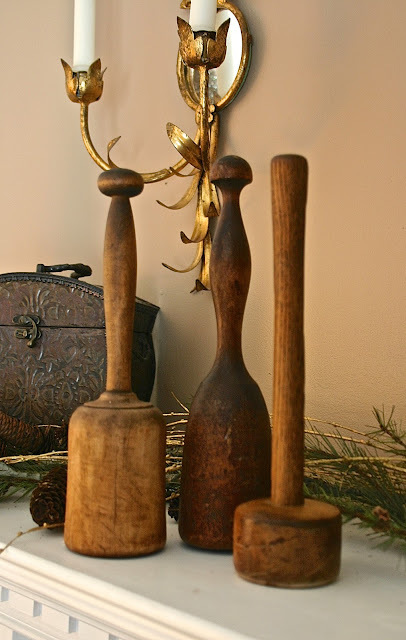 Spruce up your shelving, mantel and side tables by adding items that have architectural interest and lovely patina. May hope, love and warmth be in your heart - Happy New Year from Georgia's!